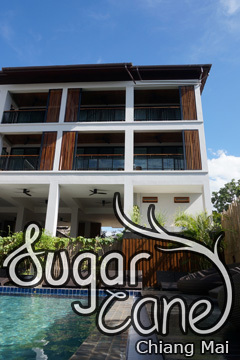 The Grand Napat Serviced Apartment - Chang Moi, Chiang Mai, Thailand - Great discounted rates! 8.4 out of 10 based on 1051 verified user reviews via Agoda. The Grand Napat Serviced Apartment is conveniently located in the popular Chang Moi area. Featuring a complete list of amenities, guests will find their stay at the property a comfortable one. Free Wi-Fi in all rooms, car park, room service, airport transfer, restaurant are just some of the facilities on offer. Designed for comfort, selected guestrooms offer television LCD plasma screen, complimentary instant coffee, complimentary tea, free welcome drink, linens to ensure a restful night. Recuperate from a full day of sightseeing in the comfort of your room or take advantage of the hotel's recreational facilities, including fitness center, outdoor pool, pool (kids), garden. No matter what your reasons are for visiting Chiang Mai, The Grand Napat Serviced Apartment will make you feel instantly at home. Airport transfer is available from 06:00 AM to 11:00 PM. In order to reserve the transfer, please inform the property of your arrival details upon completing the booking. The Grand Napat Serviced Apartment - Chiang Mai classifies itself as a 3 star hotel.